July 11 , by Shellie Wilson. 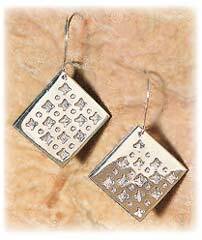 Stamp your own earrings on soft metal such as copper brass or sterling to make these funky earrings. A great way to start metalsmithing with full instructions.